"10 thousand local budgets cannot make ends meet. This is the key issue." MP Serhiy Sobolev (Fatherland) disapproves of the Cabinet policy on decentralization. 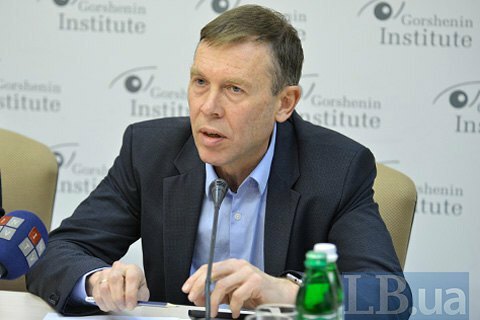 During the 21 December round table at Gorshenin Institute the lawmaker said the unification of territorial communities is taking place under duress. "Since the days of Kievan Rus, towns and cities were the fundamental feature of Ukraine and was what differed us from Europe. Unfortunately, the decentralization policy as it is now is a forced campaign regulated by the so-called combined communities' plans. We believe it is essentially wrong," said the MP. Any merger of territorial communities, Sobolev said, should be decided upon by communities rather than by Kyiv. "We believe that decentralization should boil down to appearance of 10,862 local budgets in the country. This is the number of villages, towns, cities and regions, which need to decide as to whether their budgets are self-sufficient, or need to be combined. Unfortunately, this is being done the other way round," said the deputy. In the meantime, the vast majority of local budgets in Ukraine inhibit the development of territories. "We have about 42 local budgets, which is doing relatively, but the remaining 10 thousand budgets do not know how to make ends meet. This is the key issue of decentralization." Sobolev stressed. Contact group agreed on ceasefire in Donbas after 24 Dec.